Geller’s group was one of the most vocal opponents of the proposed Islamic Center near Ground Zero. An Islamic organization that has been a frequent target of Geller’s barbs said it was not surprised she made the bigot list. “One need not go beyond the name of this hate group, Stop the Islamization of America, to recognize the validity of the Southern Poverty Law Center’s designation,” said Ibrahim Hooper of the Council on American-Islamic Relations. Bill Keller, a fire-and-brimstone Florida preacher who led a crusade against the Islamic Center in lower Manhattan, also made the Law Center’s list. So-called “experts and acclaimed scholars of Islam” rely on Arabic 101 level translator for their “anti-Jihad” work. The controversial blog aims to become the premier translation wing of the so-called “anti-jihad” movement, and was created by someone who openly states that he works as a professional Arabic translator. As always, the anti-Islam bloggers seek to portray themselves as bona fide experts of the field. But is Al-Mutarajjam, the site’s creator, really an expert in the Arabic language? The word Al-Mutarajjam is the passive participle (ism maf3ul) and means the object translated (see Hans Wehr, p. 93)—not “translator” (which would be al-mutarjim). This is an issue of very basic Arabic grammar, something learned very early on in Arabic language study. To understand how truly basic this is, we see that it is one of the very first words learned in the near-standard text used in American universities to teach Arabic:Al-Kitaab fii Ta’allum al-‘Arabiyya. That’s an Arabic 101 textbook. When this error was pointed out to the blog’s creator [by Dawood], he responded to this critique with “so what?” The “so what” is of course that it’s a huge mistake, understood best if we give an English equivalent. Just imagine if a Chinese immigrant applied to be a fifth grade English teacher in Texas and if he stated that “I was official translated at other school I work for.” Immediately the employer would know that this applicant has very poor English and would not be appropriate for the position of English teacher. If this is the case for an elementary school position, shouldn’t the standard be at least as high for the official “translation wing” for so-called “experts and acclaimed scholars of Islam”? The difference between “the writer” and “the written” is clear, as is the difference between “the translator” and “the translated”. Calling yourself “the written” or “the translated” instead of “the writer” or “the translator” is almost something worthy of being featured on Engrish.com (a website that documents humorous English language gaffes in Asian countries). For someone attempting to portray himself as a competent Arabic translator, this is a huge mistake. It certainly calls into question the credentials of a person who has taken on such a lofty role as anti-Jihad translator extraordinaire. There is a hadith, it isn’t in the Qur’an that says the Muslim must kill the Jews, and the Jews hide behind trees and the trees cry out and say, O’ Muslim there is a Jew behind me come and kill him, that is an authenticated hadith, and so it is considered to be a laudable practice for a Muslim to kill a Jew because it is something that hastens the coming of the end times in which all things will be consummated, but its not specifically in the Quran like that. Glenn Beck recently has been harping on and on about the impending doom of Armageddon, and he has figured out who the Anti-Christ is, an “Islamic figure” known as the “12th Imam” or “Mahdi.” To help promote his pseudo-religio-apocalyptic propaganda he had Joel Richardson(fundamentalist Christian) and Zuhdi Jasser, token Muslim beloved by Neo-Cons and wacko Islamophobes. It would almost be an exercise in futility (since they are so obvious) to rebut the horrendous, blatant factual inaccuracies regarding Islamic Eschatology here, but a brief response is necessary. 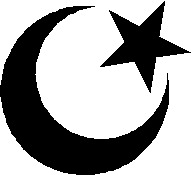 In the first instance it must be noted that Islamic Eschatology is a debated topic with various theological opinions amongst scholars, and both Sunni Islam and Shia’ Islam have different views of the events and also place different levels of importance on these End Times characters/scenarios. For Shia’ Twelver Islam the Mahdi is a central figure of their Faith whereas amongst Sunnis he is not central to the Faith. God tells His Messenger (peace and blessings of Allaah be upon him) that he has no knowledge of the Hour and that when the people ask him about that, he should refer the matter to God. It is known that the word innama (translated here as “only”) has the effect of limiting or restricting the meaning, so what the verse means is: No one knows when the Hour will come except God alone. “They ask you (O Muhammad) about the Hour — when will be its appointed time? You have no knowledge to say anything about it. It also must be made abundantly clear that according to Islamic doctrine no one, I repeat no one has the ability to hasten the Last Day/End Times. The logic goes: How can one hasten something God has already decided? Nothing any Muslim or non-Muslim does or doesn’t do has one iota of an effect on hastening or bringing closer the End Times. This is completely and utterly in the power of God. To believe otherwise is considered disbelief and counter to Orthodox Islamic teaching amongst all Sunni groups and schools of thought, and I would venture to say most Shia’ groups and schools of thought as well (Shia’ readers feel free to add comments). Furthermore, Islamic ‘Aqeeda, belief that Allah knows everything and all things happen through His power and Will is so profound and deeply ingrained that the idea of hastening the Last Days never occurred as a theological possibility, it was unimaginable! There is not much said about it over 1400 years of Islamic history precisely because it was inconceivable and absurd from an Islamic viewpoint. The cult of Juhayman al-Otaibi is a case in point. He is the famous mastermind behind the siege of the Grand Mosque of Mecca in 1979. He was forwarding the concept that his brother-in-law was the awaited Mahdi. To do so — amongst other things — he attempted to fulfill some of the “signs of the Last Hour” mentioned in Hadith. Juhayman and 67 of his followers were (after being captured) summarily executed. What we are really seeing from Glenn Beck and the Christian Right crowd that he is pandering to with these insane antics is a classic case of PROJECTION. It is in fact many in the Christian Right who believe that the End Times, the Last Days can be hastened. They actually believe they have a role in bringing Jesus Christ back to Earth! One of the violent consequences of this disastrous theology is that they believe the Dome of the Rock and Al-Aqsa Mosque must be destroyed and the Third Jewish Temple be built for Jesus to return to earth. Imagine the repercussions if they are successful in this mad dash to instigate cataclysm? Beck and company want to pass off and interpret these ahadith as somehow calling for a hastening of the End Times. Not only is this interpretation antithetical to Islamic creed, not only is it an interpretation NEVER forwarded in the 1400 years of Islamic history by any of the hadith commentators (I have Fath al-Bari by Imam Ibn Hajar al-‘Asqalani, Sharh Sahih Muslimby Imam Nawawi, and other commentaries open in front of me right now), but it exposes a profound and disgustingly immense historical amnesia. Why wouldn’t Muslims over the course of 1400 years, at a time when Christian Europe was murdering and enslaving Jews under the doctrine of Perpetual Servitude have exterminated Jews if Beck and his cohorts are right? Why were Jews thriving in the Muslim world? Why were they being appointed as Viziers, Advisors, Diplomats, Physicians to the Caliphs, Sultans and Amirs? Why was the Golden Age of Jewish thought and culture, the revivification of Hebrew (a previously near dead language) in lands ruled by Muslims? (I am currently writing a book review for LW on The Oranament of the World by Maria Rosa Menocal). No doubt these ahadith have been used in a bellicose and bigoted manner over the past 80 or so odd years due to the political situation in the Middle East, i.e. the conflict between the creation of Israel and occupation and repression of Palestinians. But can the anti-Muslims who forward the claim that Muslims are using these ahadith to hasten the End Times bring one shred of evidence in which these ahadith have been used to instigate or incite pogroms or to usher in the Last Days over the last 1400 years? Maybe Bernard Lewis can help in this regard? What Beck and co. are saying would be laughable if it weren’t for the fact that it was so dangerous. Some nut or group of nuts is going to see his show and start arming himself against the evil Mooslims and think to himself that he has to get the Mooslims before they get him. Robert Spencer’s old buddy Debbie Schlussel on Lara Logan. On his own hate site Spencer employs his usual goonish modus operandi whereby he related what happened to Lara Logan to a verse in the Quran. Is he sick or what? First it was Hugh now its Roland Shirk? Islam is a religion of fear and force, and its adherents can only be at your feet or at your throat. Now, Mr. Shirk has responded to us (albeit indirectly) at Jihadwatch. Mr. Shirk gloats about how his writings have been picked up by various media outlets, including Loonwatch, who he refuses to name except with ad-hominem attacks (such as calling us “Islamic supremacists” or “stealth jihadists”). This follows a regular pattern of desperation at Jihadwatch, as Loonwatch has published numerous devastating rebuttals of Spencer’s hateful anti-Muslim conspiracy theories. Lately, Spencer has posted articles by the mysterious Roland Shirk, someone we know nothing about, probably because he is another one of Spencer’s pen-names (like Hugh Fitzgerald). Apparently, Mr. Shirk is a mouthpiece for JihadWatch’s more belligerent attacks on the constitutional freedoms of indigenous law-abiding Muslims. I never said anywhere the Muslims should be confined by the state to ghettos. I proposed that they should be politically neutralized, prevented from migrating into Europe, and prevented from using the European welfare state to breed at the expense of native residents. To do that, I proposed dismantling that state for everyone. At no point did I suggest that Muslims receive unequal treatment at the hands of the law. This comment smacks of disingenuous insincerity. You never said anything about dismantling the welfare state for everyone. Your original piece argues clearly that MUSLIM immigration should be stopped, not all immigration. Your article decries the “demographic treason committed by Western leaders who admitted so many Muslims.” You never said anything about limiting Christian, Jewish, Hindu, Buddhist, Atheist, or other immigrants; only Muslims. Are you having a hard time swallowing what you wrote? Second, no, you didn’t outright say Muslims should be confined to ghettos. You just strongly implied it by saying, “Islam is a religion of fear and force, and its adherents can only be at your feet or at your throat.” How you plan to make Muslims live “at your feet” without supporting unequal legal treatment is impossible. You want to force law-abiding people out of your country, take away their political rights, and impose austerity on them? Perhaps you do not understand that preventing lawful migration, forcing people to be “politically neutralized,” and denying welfare are three factors that form ghettoes. Third, if you are going to write a hateful article against all Muslims, then at least stand by what you wrote instead of dishonestly pretending you were against immigration as a whole. We called you out and you have not responded meaningfully to any of our points. Next time you want to respond to us, have the courage to address the substance of our points rather than veering off into the nether realm of obfuscation and semi-coherent apologia. Disclaimer: The title remains as long as Spencer doesn’t moderate the comments. This is from a post on Feb.13 titled “Algeria shuts down internet and Facebook as protests mount” posted by Robert Spencer. It is still up. Right under Fabio another commenter named “Bhobby” echoes his intentions. This is just one more instance in a litany of genocidal and maniacal anti-Muslim postings on JihadWatch. Fabio K. Juliano: Furthermore, I opine that Mecca and Medina Must be Destroyed. Bhobby: I second you motion, Fabio: Mecca et Medina delenda sunt. Update: Spencer and co. have moderated Fabio’s comment but kept Bhobby’s. Looks like the genocidal goons over at JihadWatch are super upset that freedom is on the march in the Middle East. They hate freedom and Democracy because it destroys their pre-conceived notions about Islam, Muslims and Arabs. For a long time they received succor in the despotism and dictatorships that prevailed in these countries but now the Islamophobes are scared silly. There you have it folks JihadWatch’s true agenda. This region (North Caucasus) was a big source of the Muslim Waffen SS Divisions during World War II. The Waffen SS Divisions fought with the Nazis against the Russians on the eastern front during WW2. For that reason Stalin relocated most Muslims in the region to Siberia. Khrushchev brought them back in 1956. Khrushchev made a mistake in doing that. Most people today don’t know that the Muslim world was allied with the Nazis, especially in the Middle East (Iraq e.g.-where the British invaded to overthrw a pro-Nazi govn’t) and the Caucasus. The Cold War hid all that till the collapse of the USSR in 1990. Geller updated her blog to include the above statement from someone named “Frank the Great” obviously she agrees with everything he says. Unfortunately what he says is a gross distortion of history, an approval of genocide and extremely disgusting. Khasan is regarded as the most influential Chechen guerrilla leader during the Second World War, and he is considered a national hero for many Chechens. He was infamous to the Soviets, and is to many Russians, for his 1940-1944 uprising, which many Russians connected to an abortive German plot to undermine Soviet control over the North Caucasus (in reality, however, relations between Israilov’s Chechen partisans and the Germans were tense at best, hostile at worse). In reality the Chechens never fought for Hitler on the Eastern front, that is a BOLD-FACED LIE. Attempts at forming an alliance with Chechens floundered because of mutual distrusts, conflicting ideologies and Germany’s alliance with the Cossacks, who were the avowed enemies of Chechens. Stalin alleged that the peoples of the North Caucasus were responsible for mass collaboration with the Germans, despite the fact that an estimated 157,000 Chechen and Ingush conscripts had fought in the Red Army against Nazi Germany, and many had fought all the way to the liberation of Berlin. On the night of February 23, 1944 Lavrentiy Beria personally carried out the Chechevitsa, the forced deportation of the Chechens and Ingush to Central Asia. Beria went on to issue a verbal order that any Chechen or Ingush found ‘untransportable should be liquidated’ on the spot, and under this pretext thousands were summarily executed. Victims of typhus, which had reached epidemic proportions, were immediately executed, as were pregnant women and the elderly; another example of Soviet excesses came in the Chechen village of Khaibakh, where more than 700 Chechens were locked in a stable and burnt alive. Chechen literature and manuscripts were also burned by the Soviets, and food and water supplies were poisoned to eliminate any that stayed behind. The tragedy of this transfer of Chechens from their ancestral home is mocked by Geller and her friends, and why should we be surprised as Geller supports the same thing for Palestinians. The transfer of Chechens led to over a quarter of the population dying. That Geller would side with Stalin only confirms her long list of not only anti-Freedom beliefs but also support for murder and genocide. Islamophobia? What Islamophobia? The hordes of anti-Muslim Islamophobes will probably blame Sam Ebadi for saying he was a Muslim and getting stabbed. ST. PETERSBURG, Fla. – A St. Petersburg man is charged with a hate crime after he allegedly stabbed another man because he’s a Muslim. “He simply made the mistake of stating he was a Muslim, and it almost cost him his life.” said Ali Ebadi, the son of victim Sam Ebadi. According to the Pinellas County Sheriff’s Office, 52-year-old Bradley Strott and Ebadi had been talking about religion when the man told Strott he was a Muslim. He then became upset, grabbed the victim by his shirt and stabbed the man in the neck with his pocket knife, according to Strott’s arrest affidavit. Strott said that “Muslims are the root of the problems,” the report states. Ebadi was taken to an area hospital where he has remained since the attack. “He tried to murder my father and he spent a day in jail, I do not want another muslim family to have to go through what I go through.” said Ali. Strott has been charged with aggravated battery and was booked into the Pinellas County Jail late Friday night. He bonded out Saturday. The Tampa Chapter of the Council on American Islamic Relations have stepped in and are talking with the FBI about this attack. According to spokesperson Ramzy Kilic with the organization, the FBI is working with local law enforcement to see if they can upgrade the charges to a hate crime. Ebadi is expected to be released from the hospital on Monday.